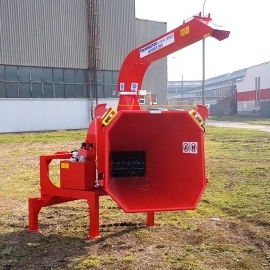 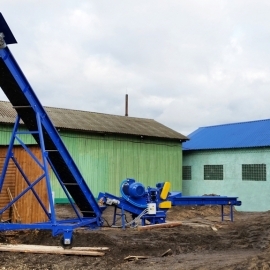 Charging hopper, 500 mm wide and 200 mm high, enables vertical drop feeding of material with different size and shape, that is short sawmill and furniture waste. 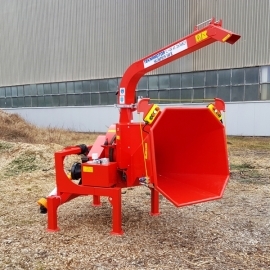 Control system of the chipper operated from the switchbox performs the functions of switching on and off, operation and overload control. 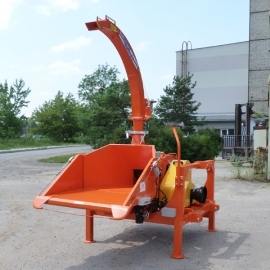 Cutting system includes a drum equipped with 2 or 3 knives. 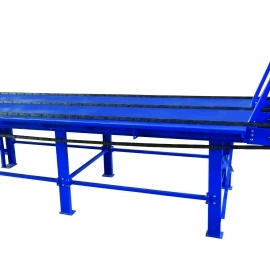 Configuration of appropriate number of knives and diameter of holes in the screen allow obtaining the required size of the final product. 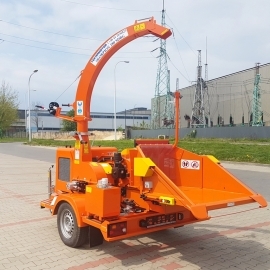 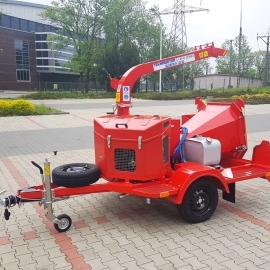 Skorpion EBZ is driven by electric engine of 45 kW, and equipped with electronic system of operation control which automatically prevents the cutting group against excessive load by temporarily stopping the feeding. 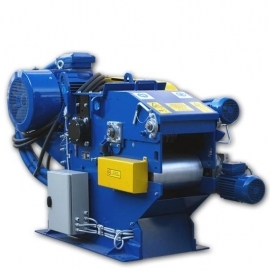 Skorpion 500 EBZ can cooperate with belt conveying systems. 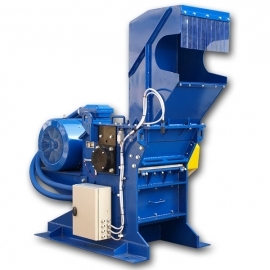 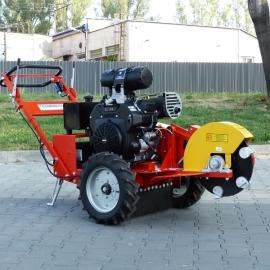 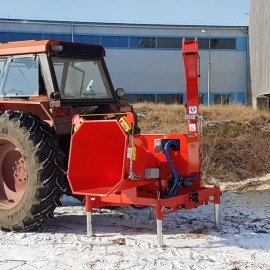 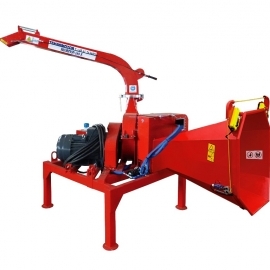 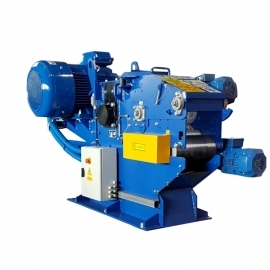 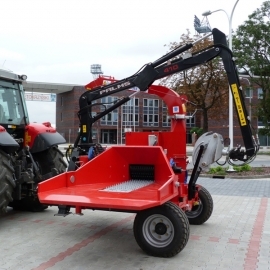 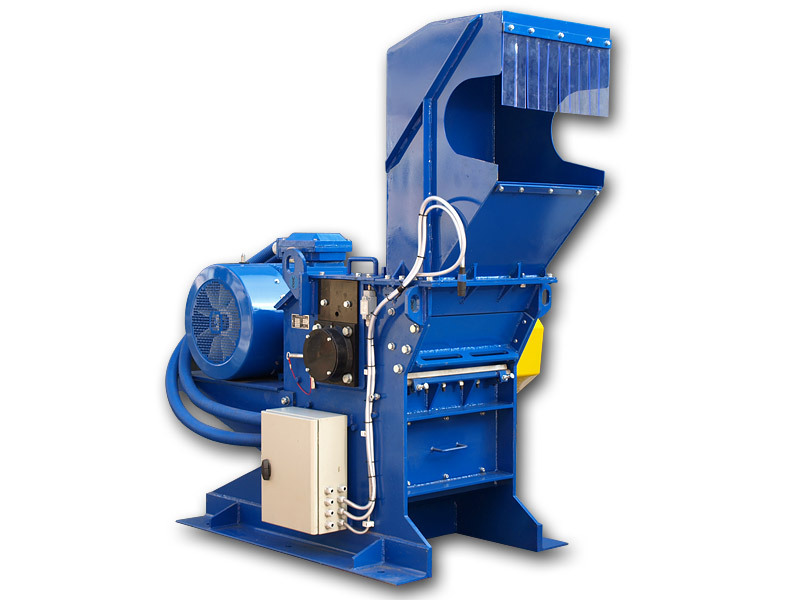 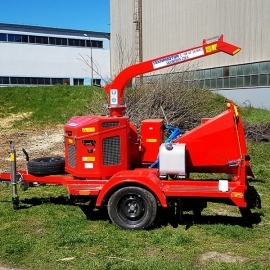 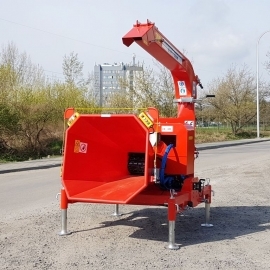 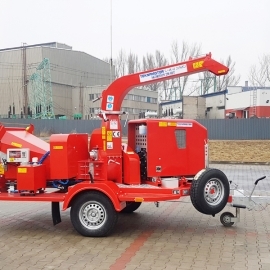 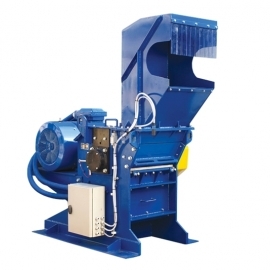 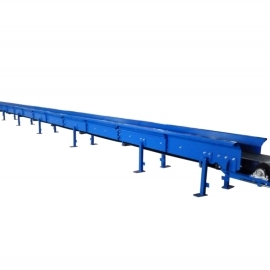 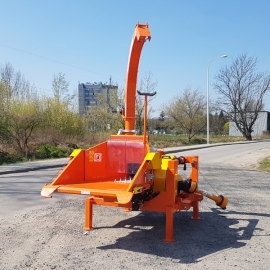 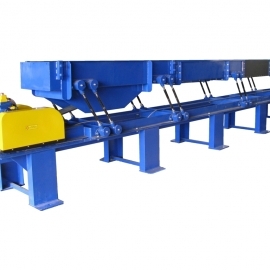 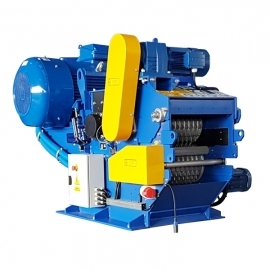 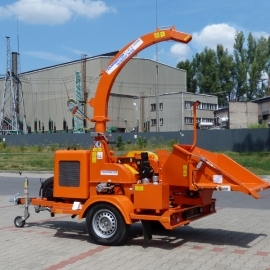 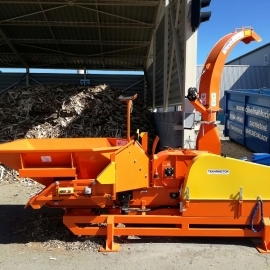 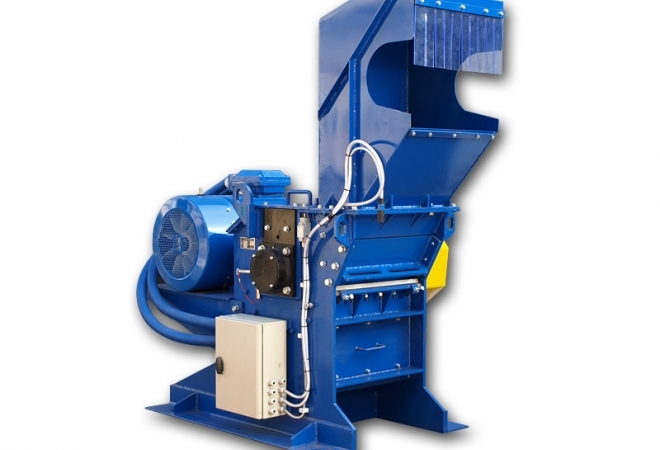 The standard set of equipment incorporated includes: a chipper, control switchbox, feeding conveyor and, on request, exhaust-pressure fan for receiving the produced material. 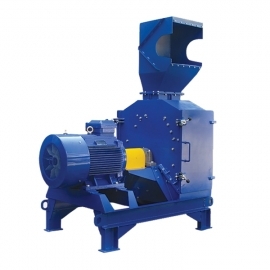 Chips obtained from Skorpion 500 EBZ can be used for direct burning in burners/ovens or as raw material for production of paper, furniture chipboards and, after additional disintegrating in a mill, for production of briquettes and pellets.